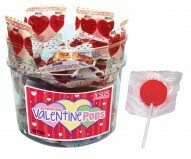 We offer Valentine's Day themed Religious Candy with Bible verses. 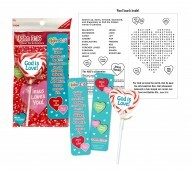 Our Christian Candy for Valentine's Day is Perfect for Church events, school parties, CCD, Sunday School, Vacation Bible School-VBS, Parties, Gifts, Favors. Scripture Candy is the perfect way to spread the Gospel.